Yaeji, a Korean American DJ and house music artist, will headline the first Binghamton Underground Music Presents show of the semester on March 10. Her performance at BU will come just before she begins her “Make It Rain” North American tour. Yaeji will kick off this semester of Binghamton Underground Music Presents (BUMP) shows on Saturday, March 10. Born in Flushing, Queens, Yaeji is a Korean American dance and house music producer. She is known for performing in both Korean and English, and for her fusion of different genres. Her second extended play, “EP2,” debuted at No. 5 on Billboard’s Dance/Electronic Album Sales chart in November. 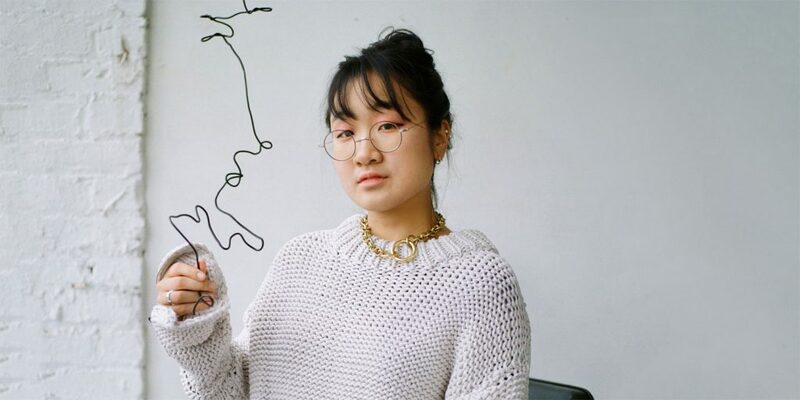 Yaeji has recently spiked in popularity, with three online Vogue articles pertaining to the artist published in the last year, in addition to features in The New Yorker and The FADER. In one of the Vogue pieces, posted in January, she said that she feels split between two different worlds as an Asian American performer. But her fans in both South Korea and the United States seem to find her music fascinating because of it. Fans in South Korea, she told Vogue, look to her music with a feeling of being authentic and real. In the United States, her use of Korean in her lyrics has become important for Korean Americans. “I noticed that for a lot of Asian girls, it’s a huge change to see someone that’s doing that,” she told Vogue. The artist is also gaining visibility for her upcoming performances at Coachella and the Seasons Festival in Vancouver. Mika Itkin-Weinstein, BUMP chair and a junior double-majoring in English and history, said that BUMP worked extremely hard to get the booking and she’s still surprised that it worked out, as Yaeji’s popularity is increasing every day. “She’s probably one of the bigger artists we’ve ever had,” Itkin-Weinstein said. Previous acts brought by BUMP include Topaz Jones, who was formally trained and known for the single “Tropicana,” Diet Cig, who has frequently played at small shows throughout the country and IAN SWEET, whose debut single was featured in The FADER. Itkin-Weinstein said she predicts that the event will be different than previous BUMP shows because of Yaeji’s popularity. “It’s going to be a different environment than usual — it’s going to be more like a party,” she said. After months of hearing friends tell her to listen to Yaeji, Itkin-Weinstein said that she discovered the DJ-producer after seeing the music video for her track “Raingurl.” The video currently has over 2 million views and nearly 60,000 likes on YouTube. Yaeji’s fusion of various genres aligned with Itkin-Weinstein’s stated mission as BUMP chair of “getting different genres and more diverse groups of artists” to perform at shows. Yaeji will perform on Saturday, March 10 in the University Union Undergrounds. The opener for the show has not yet been confirmed. Doors open at 7:30 p.m. and the show is at 8 p.m., and admission to the show is free to students.